The gunfight erupted early this morning in Jammu and Kashmir's Handwara after the security forces launched an operation following information about presence of terrorists in the Langate area. Handwara encounter: An operation was launched following information about presence of terrorists here. Jammu and Kashmir: A terrorist has been killed in an encounter in Jammu and Kashmir's Handwara district after a gun battle erupted early this morning. The security forces launched a search operation following information about the presence of terrorists in the Langate area, about 126 km from Srinagar. 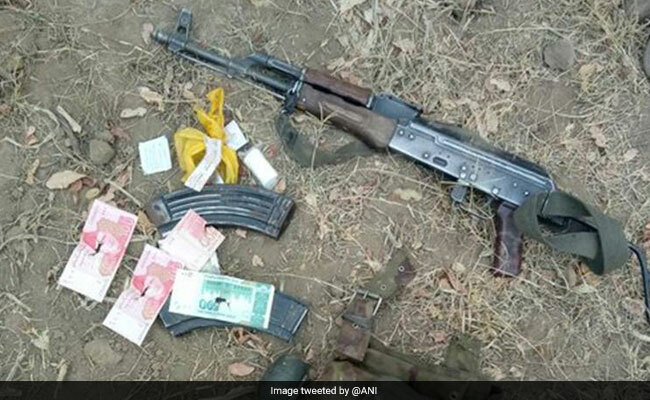 According to top police officials, a grenade, rifle and Pakistani currency have been recovered from the slain terrorist. Defence Ministry spokesman Colonel Rajesh Kalia said the firing started in Ananwan around 5 am when the forces notices some movement in the area. When the suspects were asked to surrender, they opened fire. "One terrorist has been killed and a weapon has been recovered in the operation," Col Kalia added. A grenade, rifle and Pakistani currency have been recovered.